For this update on the Fred Strohbehn Training Center in Quinta Lidia, Self-Help International’s Nicaragua team decided to share some first-hand accounts from some of Self-Help’s successful training center participants. These accounts represent some of the broad range of programs Self-Help offers communities in Nicaragua, from agriculture to clean water to micro-credit loans. Alcides Torres Gamez is a farmer from the community of San Jose, and he was one of the farmers who attended the double row planting methodology training a few months ago. 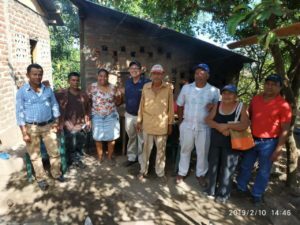 After implementing it on his own farm and seeing the benefits, he wanted to share his experience with Self-Help’s Nicaragua office. Alcides and his son filling out the corn format. Alcides explained, “I liked hearing that my corn harvest would double if I followed the double row planting method and used proper supplies, such as pesticides, herbicides, and fertilizers. I decided to start implementing the double row planting method, and as a result, I got what Self-Help told me about – a double yield! In 2018, the QPM Program has developed 13 training session, 3 meetings, 2 farmers experience exchanges, and 8 seminars benefiting 146 farmers in 15 communities. From those 15 communities 10 of them have established 51 demonstration plots with the INTA-Nutrader corn using the double row planting method as part of a strategy to increase the corn harvests and and incomes of the small farmers. Sita del Carmen Narváez is a 49-year-old woman from the community of Laurel Galán, and she has participated in trainings through Self-Help’s micro-credit program on topics like self-esteem, leadership, business planning, business management, entrepreneurship, basic accounting, and customer service. 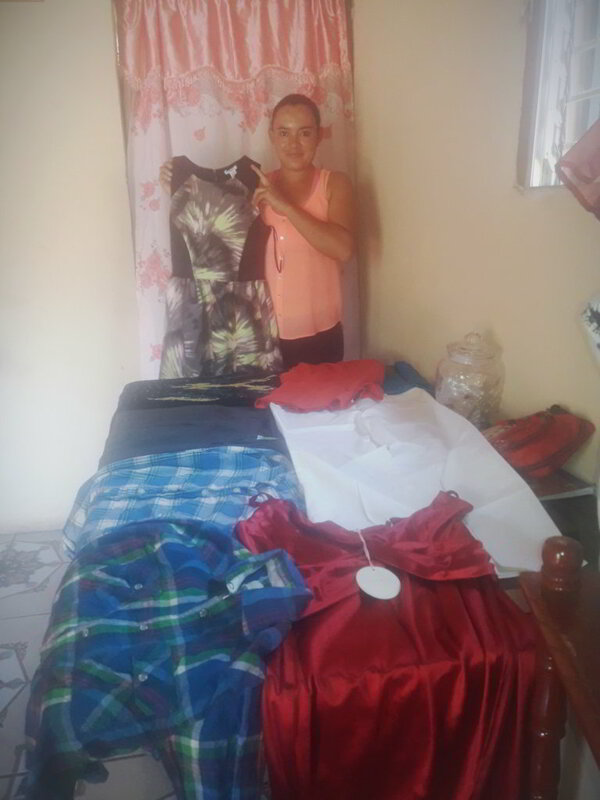 From these trainings, she said that she has applied the skills in her small tailoring business, and she wanted to tell Self-Help’s Nicaragua team about her progress. “My cousin and I have several customers for our tailoring business from as far away as Costa Rica, and they call us to make their dresses. When that happens, my cousin and I get excited because we know that we’re implementing good customer service and delivering high quality products to our clients. Afterward, these clients recommend us to other people!” Sita said. “I also learned how to advertise my sewing service by promoting my work through Facebook and WhatsApp. Through social media, I apply the self-esteem and marketing skills learned from Self-Help International.  Now, I take photos of the dresses or clothes I make and upload the photos to the internet so that people can see them. “Before I learned these skills, I was a very quiet woman. Now, my fear of public speaking is gone and I feel like I have a higher self-esteem and I have become very eager to accomplish my goal of becoming a more successful tailor!” she explained. planting method as part of a strategy to increase the corn harvests and and incomes of the small farmers. Silvio Miguel Rizo Sanchez shared that he is really thankful to Self-Help International and the clean water program for showing the Water Sanitation Committee (CAPS) members of his community, including himself, how to improve the quality of the water in their communities by learning about managing the CTI-8 chlorinator. He shared this with Self-Help’s Nicaragua office. 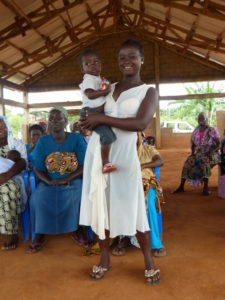 Silvio said, “We hope this isn’t the last training we receive from Self-Help. I appreciate the certificate Self-Help International gave me. Now, I feel like I’m a very important person because I’ve never been recognized before for the work I’ve done to improve the quality of the water in my community. Geronimo Corrales, president of the CAPS of El Empalme de Cruz Verde, also wanted to express his gratitude for the trainings conducted by Self-Help’s clean water program. “For me, as president and coordinator of this CAPS, it is a great success to have learned how to make calculations and balance the fees for managing and maintaining the water system,” Geronimo said. Geronimo Corrales receiving a certificate from Self-Help International. “I learned step by step how to calculate the rate of drinking water in aqueducts, take costs out of the water system, how to find the income and volume of water consumption for each house, and how to find the cost of a cubic meter of water per month. All of this has allowed the CAPS to apply an appropriate fee so that the money collected can be used to maintain and improve water systems. Sita sewing a wedding dress in her small tailoring shop at her home.